USANA Australia is excited to welcome Olympic pistol shooter Hayley Chapman to Team USANA and it seems the feeling is mutual. “What an absolute privilege to become part of team USANA,” Hayley said when we recently caught up with her. Hayley, who is currently ranked 4th nationally, uses USANA’s Visionex, HealthPak, BiOmega, Proflavanol C100, Active Calcium Plus and Vitamin D.
“As a shooter I put my mind through a lot of stress, and while standing for hours at a time during training and competition I'm keeping a massive amount of control throughout my body which requires energy, strength and the ability to focus intently,” she said. Hayley said before USANA she didn’t really take supplements regularly as she never really felt much benefit and was always was concerned about what they contained, “but since taking USANA products I really feel the difference”. 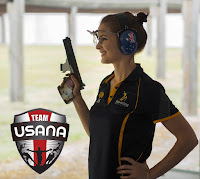 She said as an athlete the thing that convinced her to try USANA was the athlete guarantee and now “the more I learn about the company and the products, the more excited and thankful I get that Carol introduced me to them”. Hayley’s interest in shooting began at a young age and is a passion which runs in the family. Growing up on a farm north of Adelaide her grandfather had a very strong interest in guns and military and was the founder of her local pistol club, this lead to her dad, David, taking up the sport, which then lead to Hayley taking an interest. With the help of her father she learnt to train and be disciplined enough to succeed. At the age of 15 she competed at her first national championships where she finished third in the air pistol. At the 2012 London Olympic Games Hayley contested the 25m pistol event and competed alongside her father, coach and hero. The pair made history as the only father-daughter combination to have competed in the same Olympic Games for Australia. Hayley said she is now focusing on and working hard towards selections for the coming Rio Olympic Games. She also has her sights on other competitions in the next two years such as the International World Cup, the World Champs and the Commonwealth Games. As preparation for the Olympic selections Hayley is currently training five to six days a week for two to three hours at a time. When she’s not training she works as a personal trainer and concentrates on her business and planning. 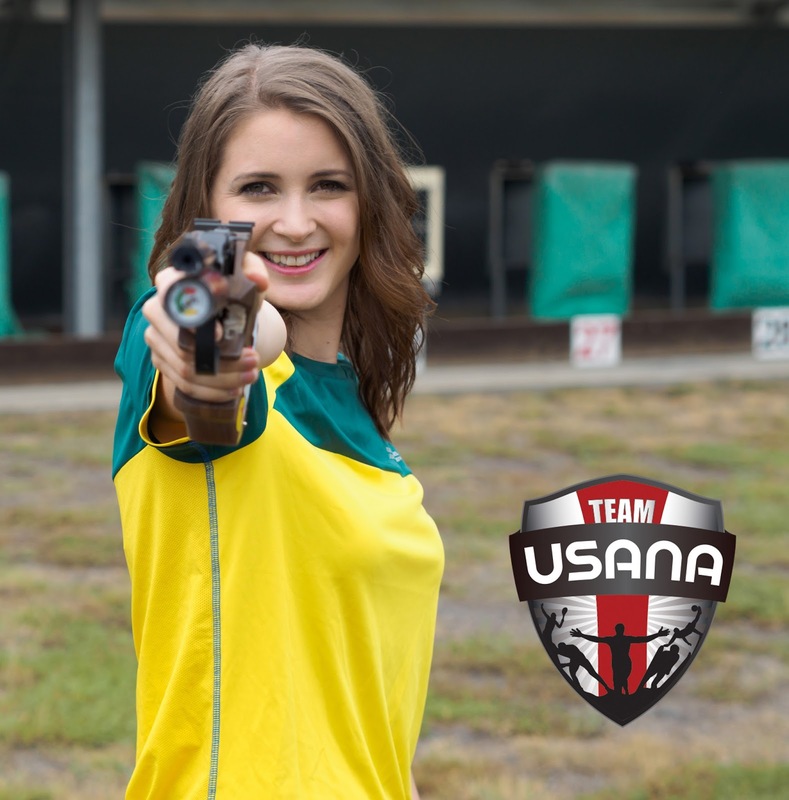 From everyone here at USANA Australia we wish Hayley all the best in the upcoming Olympic selections.